Also known as the Red Date, the Jujue fruit is less sweet than ordinary dates. 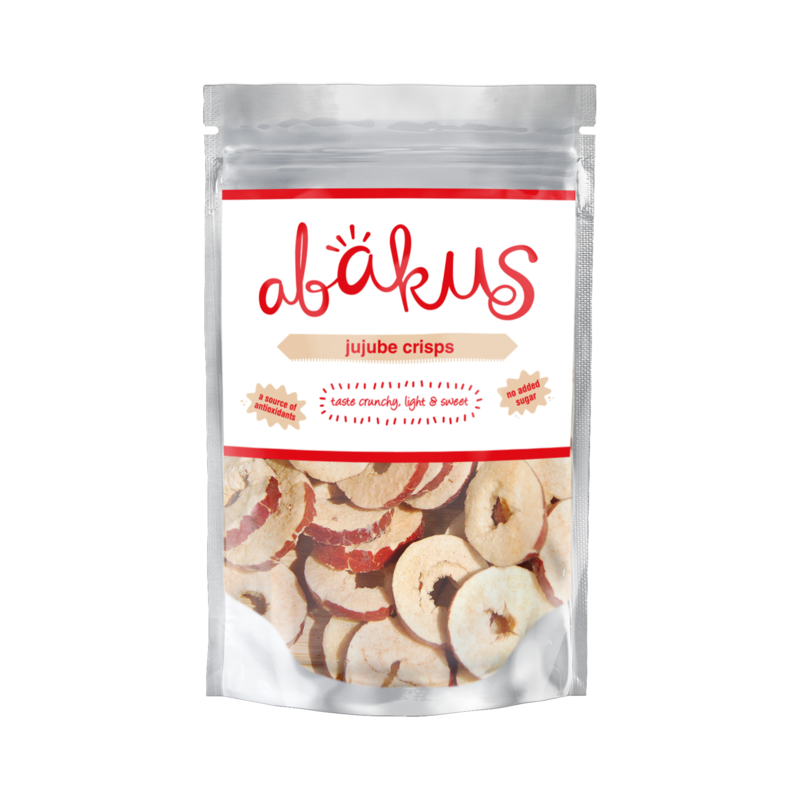 The texture is crunchy, light, similar to a biscuit despite being entirely made of fruit. 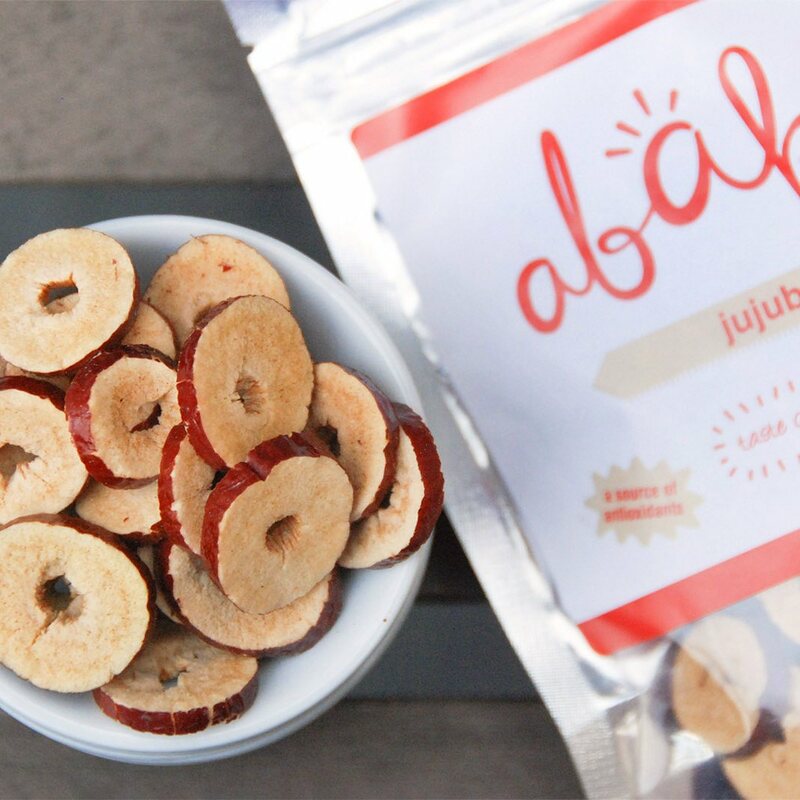 Jujube originates from Asia where it has been enjoyed as a longetivity berry for thousands of years. It's Free From: Gluten, Dairy, GMO, Additives. Suitable for vegetarians and vegans. 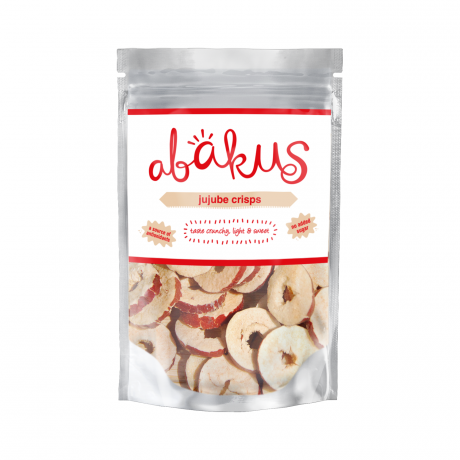 Great as a snack in between, or sprinkle on porridge or salads. 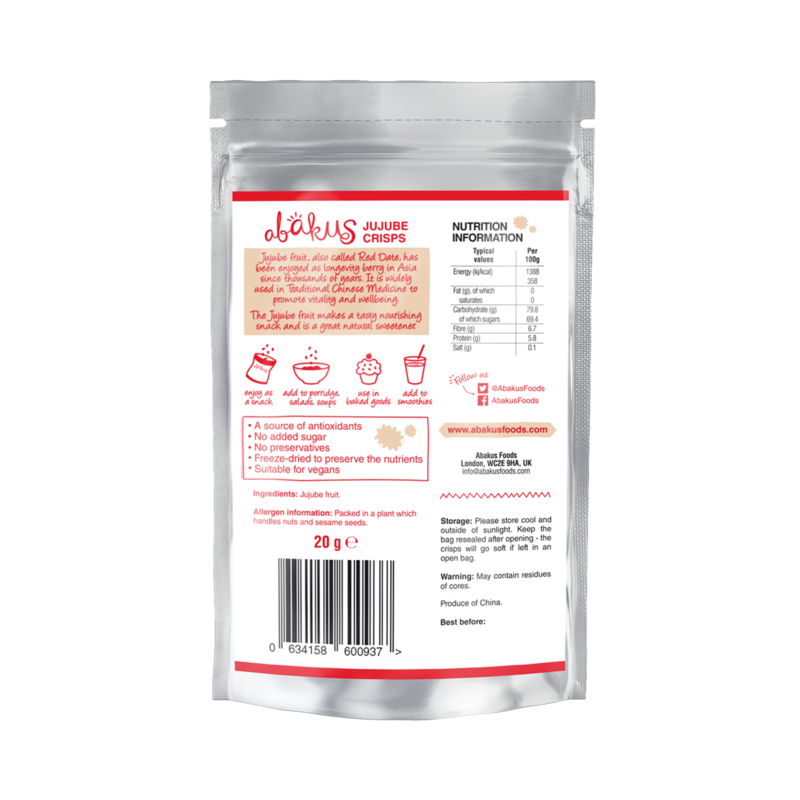 Available to buy in a taster pack of 2 x 20g pouches or in a case of 24 x 20g pouches.